Memberships are exclusive by nature, which makes them uniquely desirable for many reasons. Being a member means you’re on the “inside” of what’s happening – you’re in the know. And one of the many benefits of memberships is access to additionally exclusive things, like privileged information, savings and deals, special offers, and much more depending on the membership itself. While exclusivity has the power to keep members happy, it also has the ability to attract a lot of new business, too. In fact, exclusivity can a great marketing tool for turning non-members into members as well as keeping paying members around a lot longer. But how does the power of exclusivity work, exactly? As we mentioned, membership in and of itself already uses a level of exclusivity, namely the latter: your members get access to your site/product/whatever, but they have to be able to pay the fees. Once they pay, they get everything you have to offer, and anyone who can pay gets in. But you can also use scarcity to drum up hype around limited time offers, specific content offerings, or one-time events. Scarcity plays on people’s FOMO: Fear of Missing Out. They don’t want to be left on the outside should anything cool happen, so they’ll do whatever they can (in this case, become a member, sign up for your list, etc.) to avoid any disappointment. Of course, both methods work when it comes to marketing, but they don’t always work the same way for the same content. What Type of Exclusivity Works for What Content? When choosing a method of exclusivity, you first need to figure out your ultimate goal. 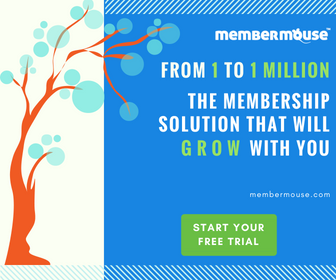 Are you looking to drive new membership sign-ups? Are you looking to keep current members happy? Do you want to spur additional buying from both current and non-members? Once you know what you want to accomplish by marketing exclusive content, you can fairly easily figure out which method best fits your needs. Whether or not people actually want it – There has to be a certain level of demand for what you’re offering. If you have an exclusive offer, like a really great discount on a product or service, it needs to be something that your members (or non-members) frequently clamber for. If nobody wants it, it’s not exclusive, no matter how you sell it. Whether people know about it – In order to market something as exclusive, people have to know about it. Make announcements. Send emails. Post to social media. Let people know that they need to strike while the iron is hot. Of course, you could go the ultra-exclusive method and contact only certain members or prospects about the deal, too. Whichever way you go, just make sure you’re talking about your special offer to somebody. Whether it’s actually scarce or not – Is this something you do every year, or is it really a one-time event? You may want to consider organizing an event or developing a piece of content (e-book, webinar, etc.) that truly is only available once-in-a-lifetime. Even if you end up doing it again, you’ll still drive engagement because people will believe it won’t be here for long. In fact, the more you can stress that something won’t come around again – even if you do plan on having it around again – the better your marketing efforts will be. Whether the content really is available to a limited audience – There’s nothing worse than paying for an exclusive benefit only to find out that the general public has access to the same or similar benefits for free. The whole reason they’re coming to your website is for something truly unique for them, so make sure what you’re offering is actually members-only. If you have a tiered membership, you could also consider offering special content to different member levels. Something that only 50 members have access to, even if there are 1,000 members, will immediately drive sales. Whether your content actually has value – Just because you put something behind a paywall doesn’t mean that it’s worth the money being spent on it. Consider going above and beyond with your content, whether it’s getting experts to attend an event or give insider tips on your blog, make sure what you’re offering has inherent value. What Content Can Be “Exclusive”? Now that you have a good idea of the ins and outs of exclusivity, you’ll probably want to know exactly what type of content can be made exclusive. Although we’ve touched on a few ideas already, here are a few examples to further your inspiration. This can include content such as videos, ebooks, webinars, newsletters or blogs. Content that can be shared or accessed at any time should be included in a limited access marketing strategy, but you can always limit the availability of certain content (especially webinars or videos) to implement a scarcity tactic. Whether you sell a specific product or provide a service, sooner or later you’re going to offer a discount. Your discounts may apply to membership rates or to the product or service itself, but either way, these offers are prime real estate for exclusivity. Make those discounts limited time or only available to certain subscribers to really drive sales. If you’re making big changes to your business, have special events happening, or have an expert on hand who can provide industry inside tips, mark these pieces of information as exclusive and make them available only to members. This type of content is great for limited access exclusivity. Events are the perfect thing to make exclusive. Whether you’re offering an online class or an in-person conference, make it exclusive. That can mean that the whole event is only available to certain members or subscribers, or that parts of the event or special pricing is only available to certain member types. Even if you have a very popular membership, consider limiting the number of people who have access to it each year and put people on a wait list. Wait lists also work well for special events or enrollment in online courses. Copyblogger’s Certified Content Marketing Course is a great example of the power of wait lists. Finally, while access to your social media isn’t strictly exclusive, you can market exclusive content to social media users. Facebook, for example, offers the “visible-to-connection” tag that allows you to show completely different code to those who have liked your page versus those who haven’t. It’s a great way to market your content without offending any of your followers who aren’t on the inside. You can use any or all of the content types above to market exclusively to different member types, just make sure that what you’re offering has value and that people actually want it first. Joanne is a writer who specializes in educating online site owners about building a thriving membership business. Exclusive offer! Get it before it’s gone! Here’s what you should say to grab attention. Subscribe to download this free resource.